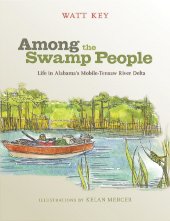 Among the Swamp People is author and Mobile Bay contributor Watt Key\’s story of discovering the Mobile Tensaw-Delta, leasing a habitable outcropping of land deep inside and constructing from driftwood a primitive cabin to serve as a private getaway. His story is one that chronicles the beauties of the Delta\’s unparalleled natural wonders, the difficulties of survival within it and an extraordinary community of characters who live, thrive and perish there. 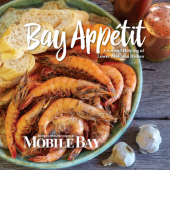 Dig in to this delectable collection of more than 175 mouthwatering dishes from the pages of Mobile Bay, favorite local restaurants and readers\’ recipe boxes. This full-color, glossy cookbook is an essential addition to any Southerner\’s culinary library. 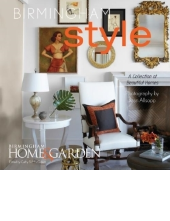 Birmingham Style is a hardcover coffee table book highlighting the best design in Birmingham, Alabama. Featuring more than 200 images of architecture, interior design and gardens, the 192-page book showcases 30-plus homes and gardens in the greater Birmingham area. Judy Marston\'s stunning coffee table book, The Homes of Spring Hill, showcases the beautiful architecture and stunning landscapes of the Spring Hill community. The area remains its own village in its own unique way, inspiring tourists and garden enthusiasts from across the country. 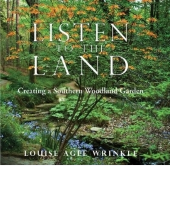 Listen to the Land, a hardcover coffee table book featuring one of Birmingham’s most outstanding private gardens, is an engaging, informative and poignant memoir of Louise Agee Wrinkle and the 30 years she spent tending her family’s home in Mountain Brook, Alabama. 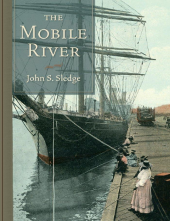 The Mobile River presents the first-ever narrative history of this important American watercourse. Inspired by the Rivers of America series, John S. Sledge weaves chronological and thematic elements with personal experiences and more than 60 images for a rich and rewarding read. The Civil War has left indelible marks on Alabama\’s land, culture, economy, and people. Despite its lasting influence, this wrenching story has been too long neglected by historians preoccupied by events elsewhere. 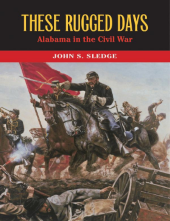 In These Rugged Days: Alabama in the Civil War, John S. Sledge provides a long overdue and riveting narrative of Alabama\’s wartime saga.